Winters can be unforgiving in North Bay, Ontario, and there is good reason why heating is an essential part of every home and building in the area. With temperatures reaching well below 0, it can be dangerous to go without reliable heating. That is why Heating and Cooling Repair North Bay provides heating systems installations, repairs, and 24/7 emergency service. We know that when it is the dead of winter, you can't afford to wait long for help to arrive. Our technicians are prompt, reliable, and highly skilled and experienced. They are able to assist with a wide range of problems affecting your home heating and cooling. We take care of our customers and provide them with top quality workmanship, service, and assistance when they need it. Our affordable HVAC services ensure that you can maintain the performance and efficiency of your heating without emptying your wallet. An older heating system may not be optimally efficient, and that could cost you big bucks with the rising cost of energy. More and more homeowners are opting to repair older heating or replace it with a newer option that offers better energy efficiency. We are happy to assist our customers in finding ways to reduce energy consumption both for ecological reasons and economical ones. Heating and Cooling Repair North Bay offers installations, maintenance, and repairs for heating, furnaces, boilers, heat pumps, gas fireplaces, and more. Winter or summer, fall or spring, you can count on us to help keep the temperature in your home pleasant and comfortable. 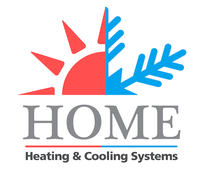 If you experience problems keeping your home at a comfortable temperature or feel as though there is a variance in temperature across certain parts of the home, it may indicate there is an issue with your heating and cooling system. This may be attributable to low efficiency, poor maintenance, or a faulty component. Before your heating or air conditioning completely fails to function, you should contact an HVAC professional for a complete inspection and necessary repairs. This ensures that your heating and cooling is working when you most need it, such as on the coldest days of winter or the height of summer. You can rest easy knowing that your HVAC system is prepared to handle those extremes. Furthermore, better performance means greater comfort for your family throughout all the seasons. Having reliable heating is especially important in the North Bay area. Proper maintenance and care and timely repairs can help you avoid an emergency, as well as enjoy optimal energy efficiency and performance from your heating or air conditioning all year round. However, we know the unexpected does happen and cannot always be avoided, so if you need urgent assistance, you can count on Heating and Cooling Repair North Bay to provide you with heating repair, furnace repairs, gas fireplace repairs, and much more 24/7 for emergencies. Contact us for fast, affordable heating repair service in North Bay, Ontario.